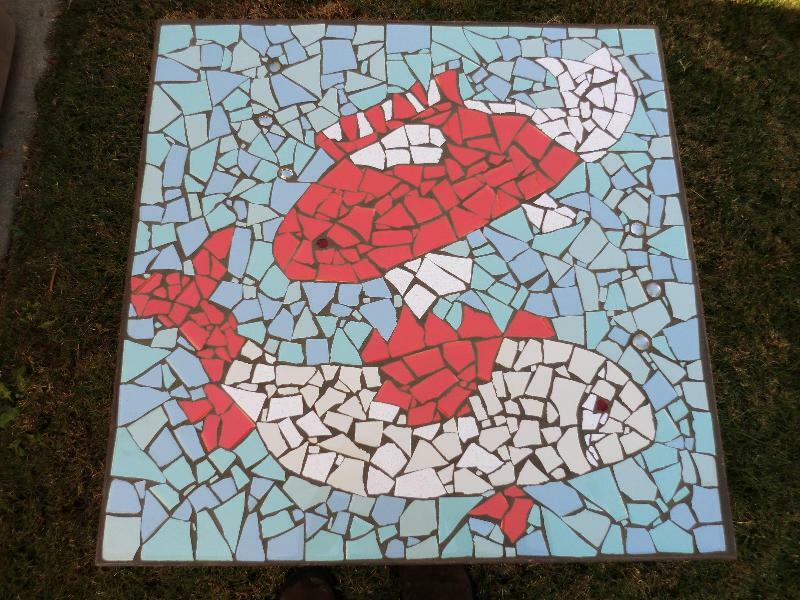 ← WHERE MOSAICS AND CREATIVITY COLLIDE! Welcome to the brand new SBSMA monthly newsletter. We are starting out the New Year with a big BANG! Check out the new schedule and unique workshops. Call or email to register, don’t wait as workshops fill up quickly! All workshop descriptions are available at the website. 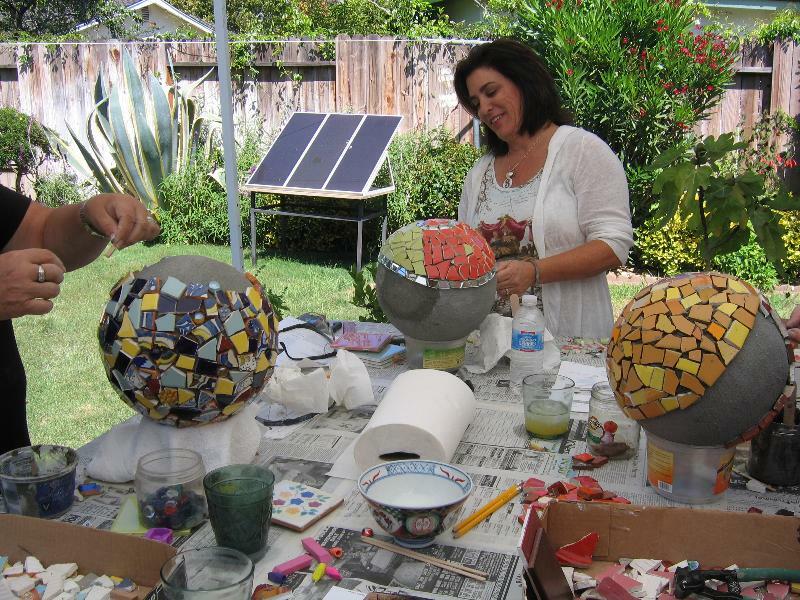 Each month the SBSMA newsletter will come with a new tip or technique for all your mosaic projects. SBSMA has all your mosaic art supply needs. There is an array of tools, buckets, fixatives, grouts and over 20 colors of high and low fire tiles. Any time you bring a friend to a workshop you and the friend get a 10% discount on your fees. Group workshops available with 4-6 weeks notice and a 10% discount on all students fees. 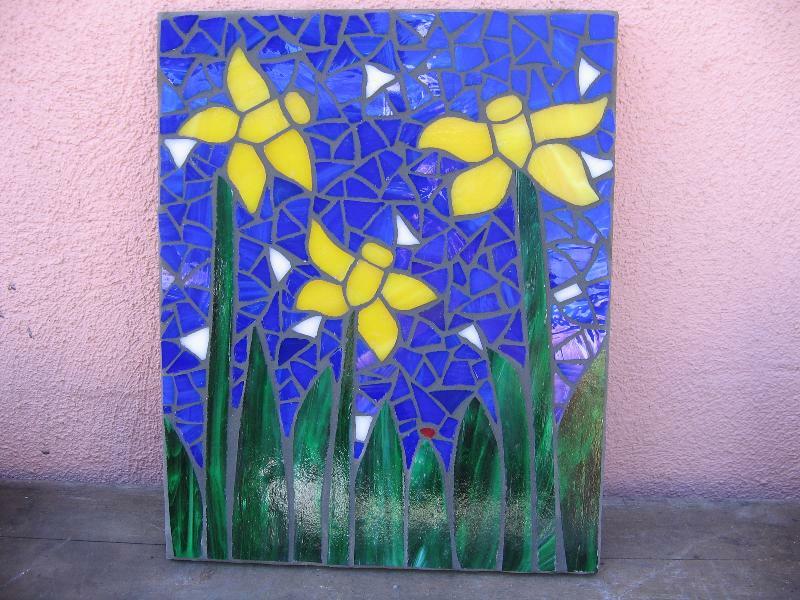 Whether you are a first time mosaic artist or have some experience you must always make the decision to do an image design or an abstract. Each style has equal value and can take a great deal of time and detail. In choosing a design many parts have to come into play. Number one, what size will your whole piece be? Number two, will it be 2D or 3D? Number three, will you use a template or free hand? Number four, what will be my inspiration? Size will be important for deciding your substrate and materials. If you choose an image design you will need a template that will then require three different possible methods for seeing your image. One; use tracing paper and copy your design on to your substrate, (tracing paper comes in many colors and usually found at your local art store). Two; using fiberglass mesh with your design underneath (but make sure to put saran wrap over your design before you lay down your mesh). Three; the indirect method that means executing your mosaic in reverse. Stay tuned for next month’s tips and techniques when I will cover how to choose a substrate.